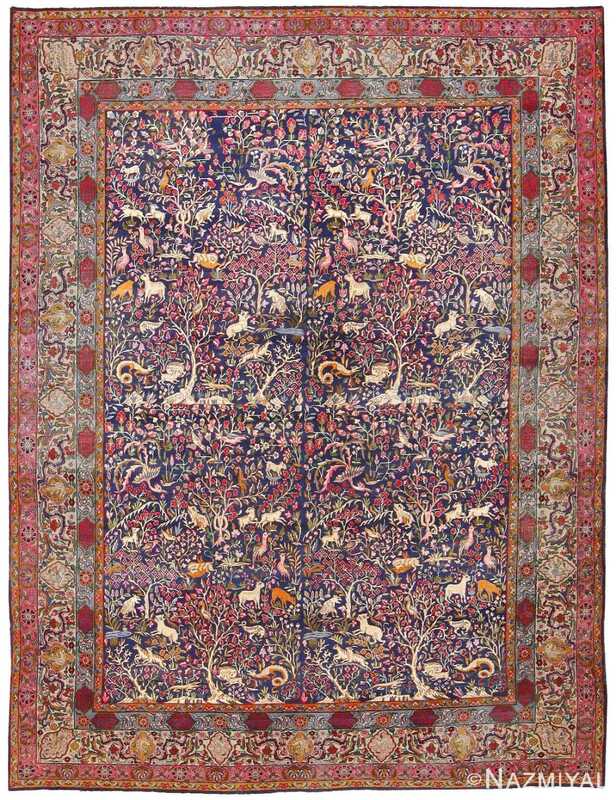 Antique Garden of Paradise Persian Carpet, Country of origin: Persia, Circa Date: 1900 — This Antique Garden of Paradise Persian Carpet is steeped in intricacy and imagery. 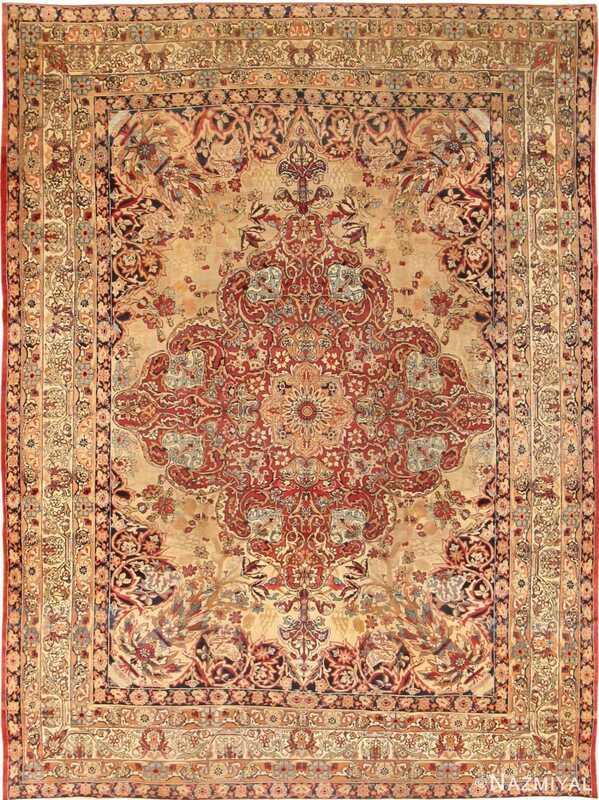 The artisans that crafted this piece truly made it feel like a thriving and bustling garden – a microcosm of paradise encapsulated in a beautiful Persian rug. Our eyes must travel across five different borders of flora and vegetation, sprawling and blooming as if it were spring. 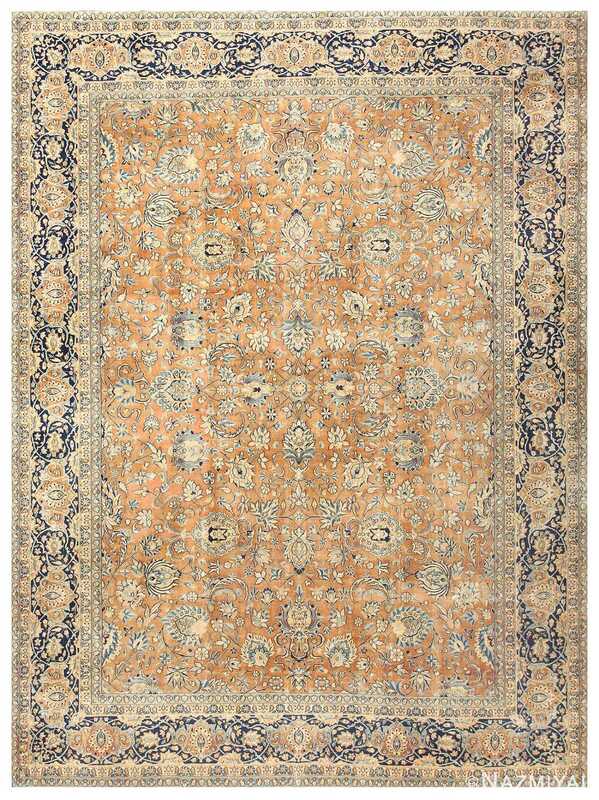 Once our eyes travel to the focal point of the piece, then we view a true garden paradise. Living creatures and vegetation exist in harmony as they are depicted on the rug. The juxtaposition of plant and animal with the collaboration of reds, blues, greens, yellows, and whites truly gives one the sense of the nature that these animals and plants exists in. We are watching them flourish in the garden of paradise. 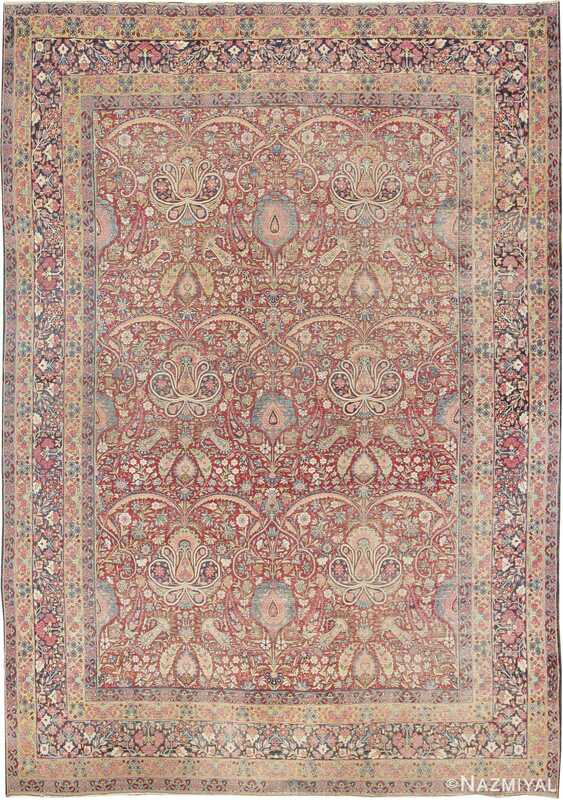 This antique Oriental Kerman carpet from Persia is a masterpiece of classical Persian design.